By Kevin Harter in Coding. Updated on August 3, 2018 . 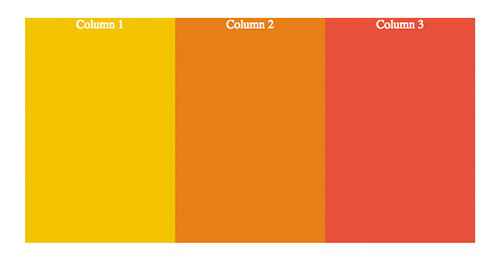 Most web designers think they know CSS pretty well. After all, there isn’t that much to it — a few selector types, a few dozen properties, and some cascading rules that you barely need to remember since they boil down to common sense. But when you get down to the nitty-gritty level, there are plenty of obscure details that few designers truly understand. When I examined the results of a free CSS test I’ve offered online for the past six months, I discovered one question that almost no one got right. Of the thousands of people who took the test, fewer than 14% got it right. The question boils down to this: How Do You Calculate Percentage Margins? Okay, so it’s 10% … but 10% of what? That’s the question that only 13.8% of people can answer correctly. And keep in mind: these people have access to Google! What I love about this question is that it seems like the answer should be obvious. So much so, that I suspect most people just take a guess (and guess wrong). But maybe it doesn’t seem obvious to you. I mean, if you really use your imagination, there are many ways the browser could conceivably calculate a margin like this. Remember, only 13.8% of people can pick the right answer from this list. That’s way worse than chance! 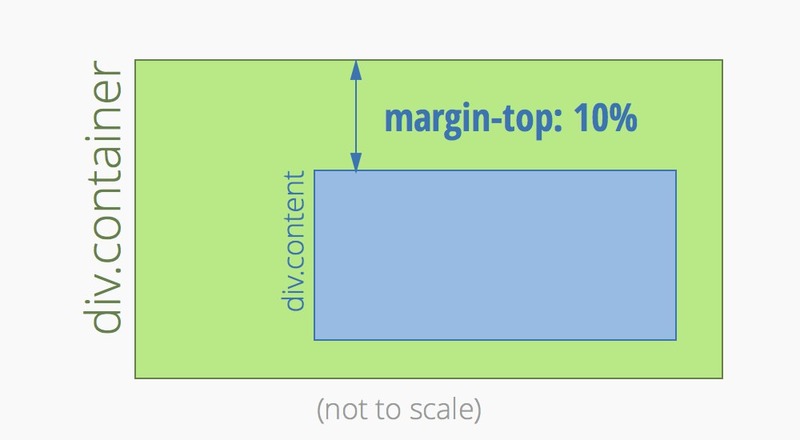 First, is the size of the margin based on the size of the content div itself, or on the size of the container div? Now this isn’t a gimme, but you can probably trust your instincts. 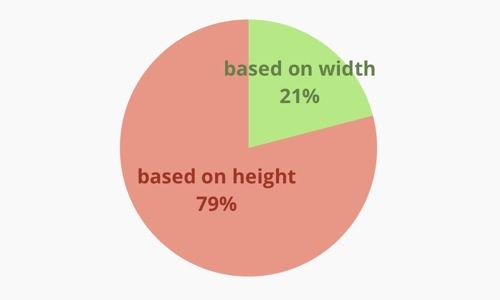 If I set a div to be 50% of the width of its container, and then I want its left and right margins to fill the rest of the space, I’d naturally set them to 25% each (so the percentages add up to 100%). For that to work, percentage margins must be based on the dimensions of the container. Sure enough, two thirds of people who take the test get this part of the answer right. Second, is margin-top’s size based on the width or the height of that element? If you’ve been paying attention, you’re probably on your guard already. For so few people to pick the right answer, this has got to be a trick question, right? And yet, I bet you can barely believe that the answer isn’t height. Well, it isn’t. Yes, we’re talking about a top margin here. Yes, the size of that margin is a vertical measurement. Yes, if a block is 50% of the height of its container, and you gave it a top margin of 25%, you’d expect that to be 25% of the height of the container. And you’d be wrong. It Makes Sense… No, Really! The percentage is calculated with respect to the width of the generated box’s containing block. Note that this is true for margin-top and margin-bottom as well. The same goes for top and bottom padding, in case you were wondering. As for borders, it’s illegal to specify their width as a percentage. Now, if you wrote either of the above, you’d probably expect the margins on all four sides of the block to be of equal size, wouldn’t you? But if margin-left and margin-right were based on the width of the container, and margin-top and margin-bottom were based on its height, then they’d usually be different! CSS lays out content in blocks stacked vertically down the page, so the width of a block is usually dictated entirely by the width of its parent. In other words, you can calculate the width of a block without worrying about what’s inside that block. The height of a block is a different matter. Usually, the height depends on the combined height of its contents. Change the height of the content, and you change the height of the block. See the problem? To get the height of the content, you need to know the top and bottom margins that are applied to it. And if those margins depend on the height of the parent block, you’re in trouble, because you can’t calculate one without knowing the other! Basing vertical margins on the width of the container breaks that circular dependency, and makes it possible to lay out the page. So there you have it: the hardest question on the test, and now you can answer it. Want to know how you’d do on the rest of the test? Try it yourself. I promise, most of the questions are much easier than this one. Meanwhile, I’m in search of a new toughest question! What detail of CSS do you think nobody knows?